Press Pass FanFare is the newest addition to the excellent NASCAR releases they produce. 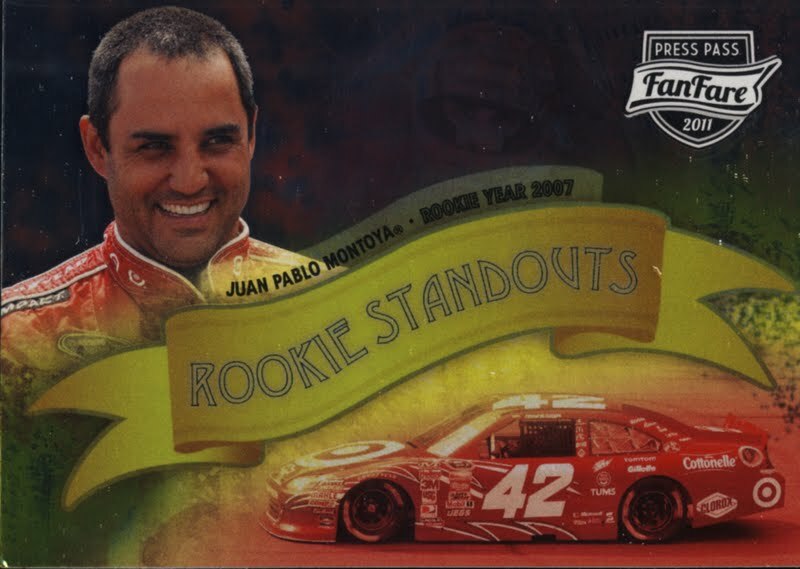 This is a base set/big hit premium product with lots of bang for the buck. 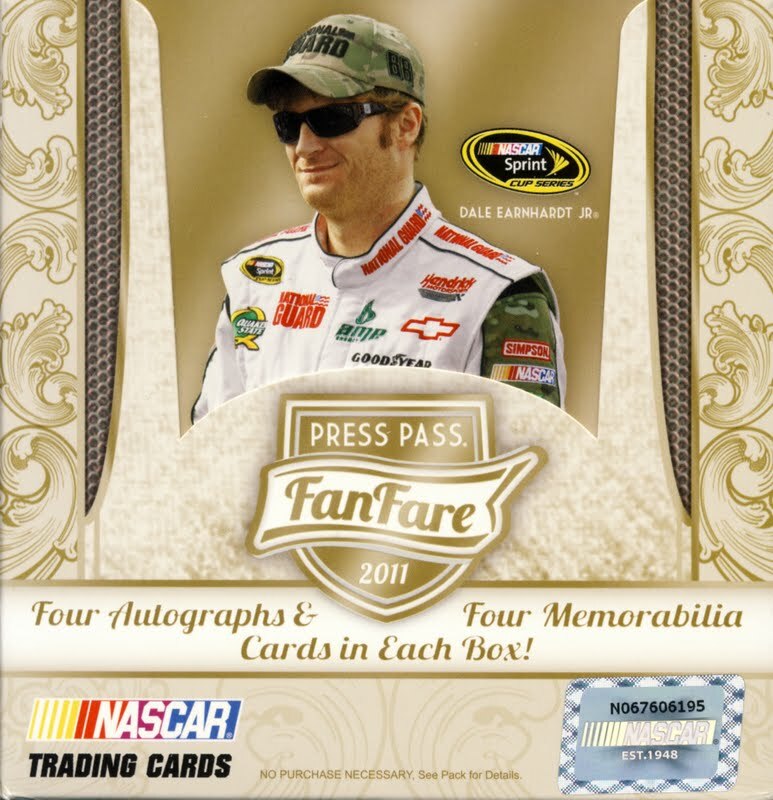 We classify 2011 Press Pass FanFare as premium cards. 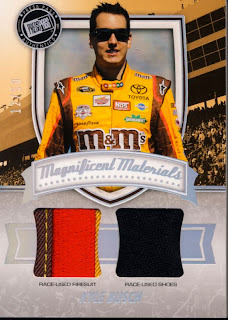 Each hobby box contains 8 – 5 card packs with a bonus single hit card pack. 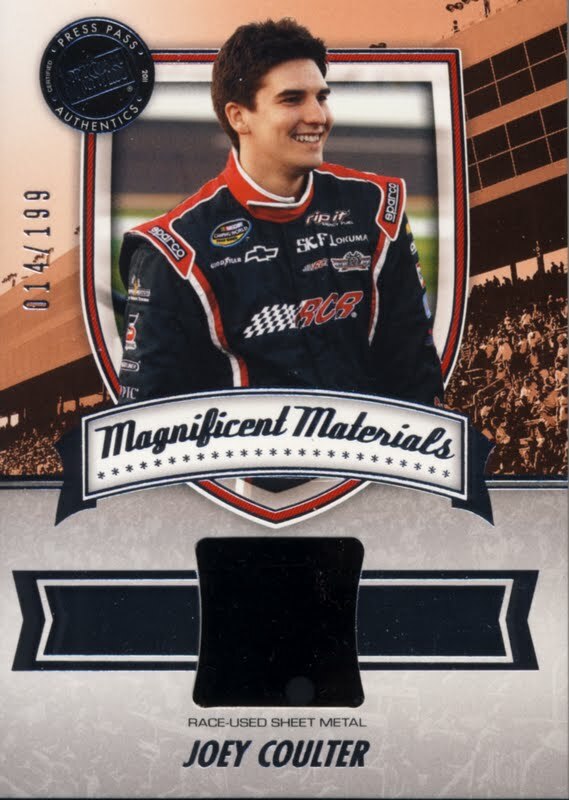 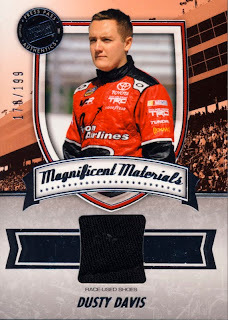 Each regular pack contains either one Autograph card or Magnificent Materials race-used memorabilia card. 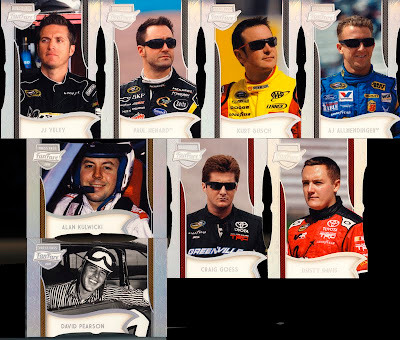 Here is what we pulled. The base cards are paralleled. 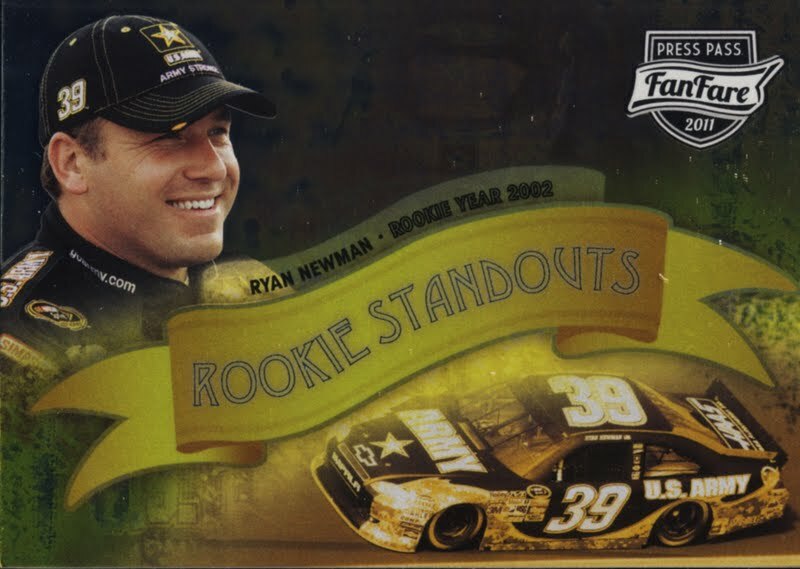 And the hits. 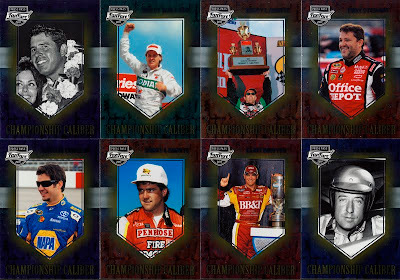 First the Memorabilia cards. 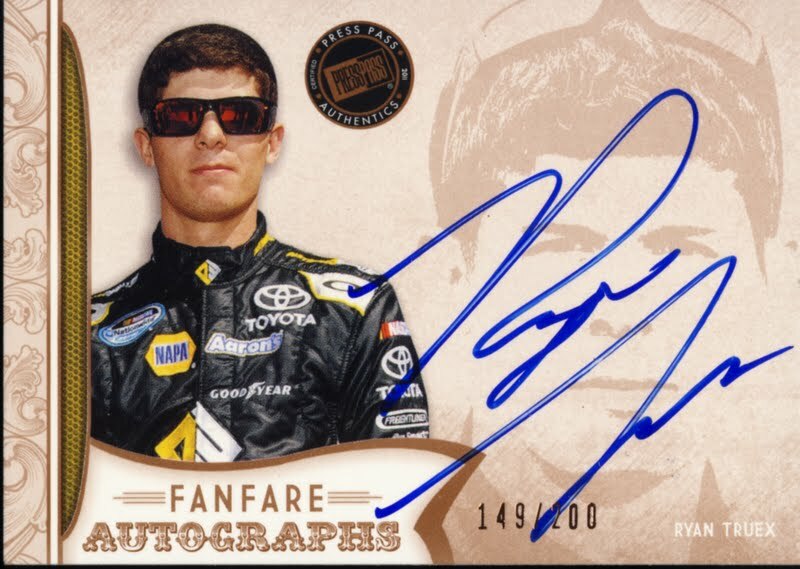 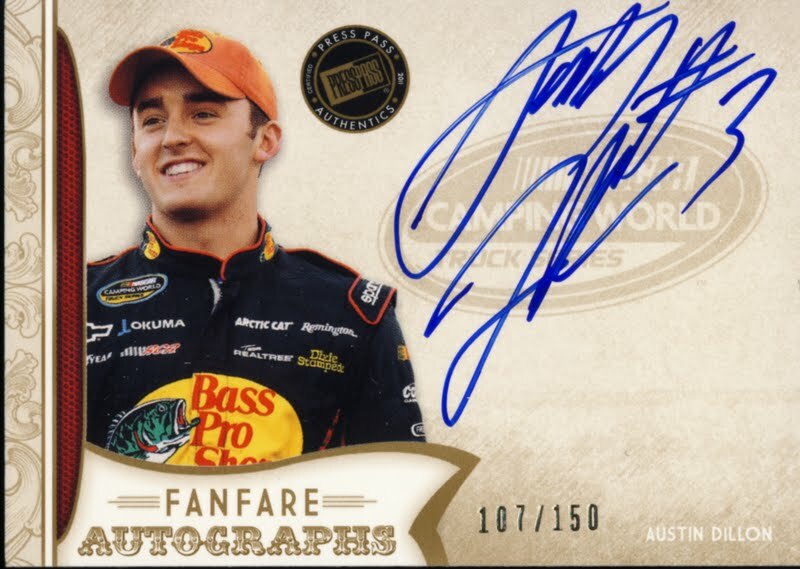 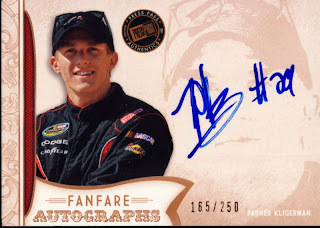 19 years old, brother of NASCAR driver Martin Truex Jr, and two-time NASCAR Camping World East Champion, this is his first autograph card as a NASCAR Nationwide contender. Grandson of Richard Childress, legendary car owner for Dale Earnhardt, this is his first Autograph card. 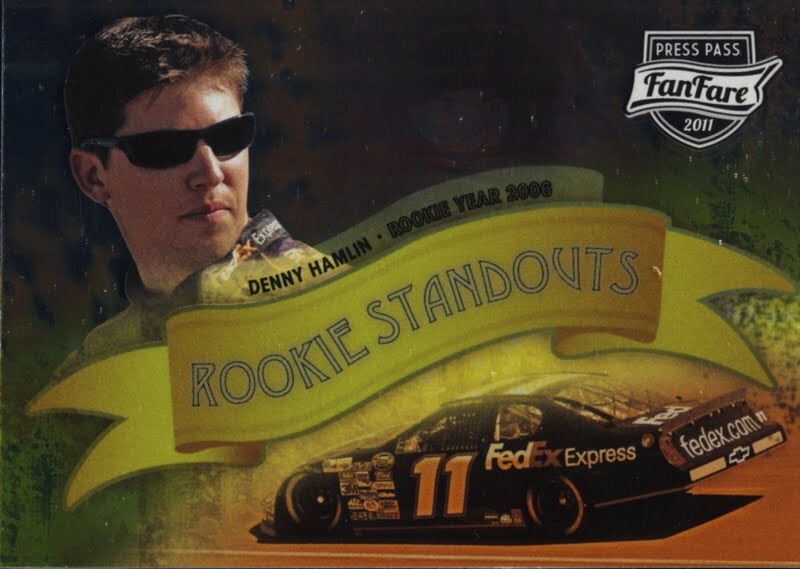 Chalk another one up to the Press Pass design team. The consistency of superior design is astounding. 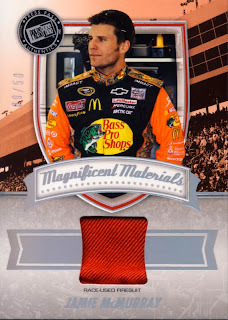 This is another product that excels. The emphasis of this set falls towards the drivers of the Nationwide and Truck series, but Sprint Cup drivers are also represented. You’ll find a lot of first time autograph cards and at least two Sprint Cup driver hit cards per box. 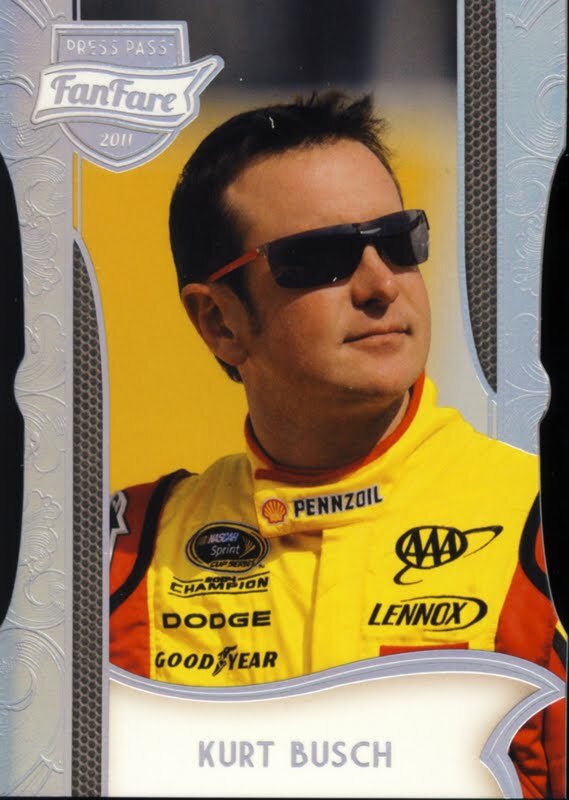 Press Pass does hit cards right... bottom line. 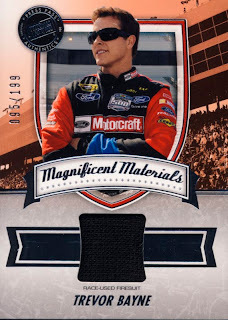 On card autos work well and all materials are for memorabilia cards are represented. With a variety of parallels for the base cards, FanFare is balanced. Boxes of FanFare are quite addictive. Knowing each pack contains a hit certainly puts you in a “ripping zone.” Each box almost feels like an individual serving size bag of chips, the kind that you could easily plow through two or three at a sitting. 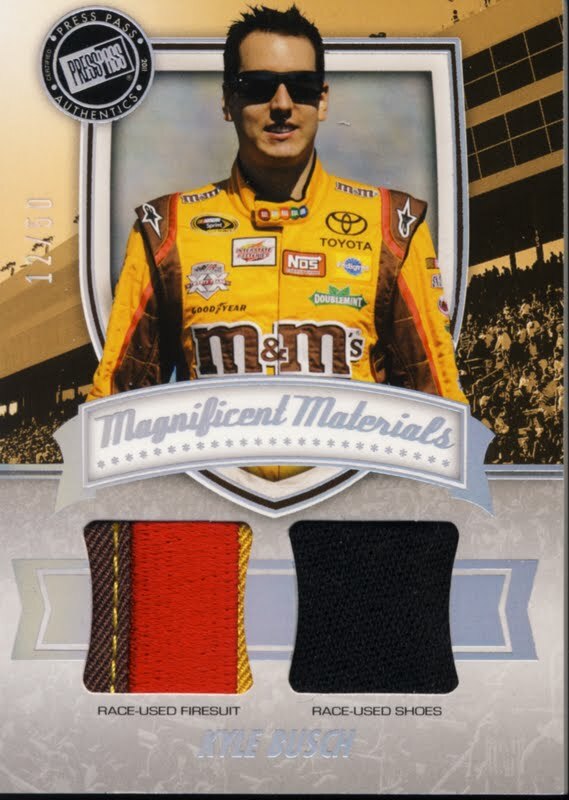 Even if you try to show restraint and only open one, you know you’ll be back tomorrow for another one. 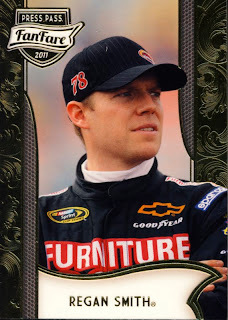 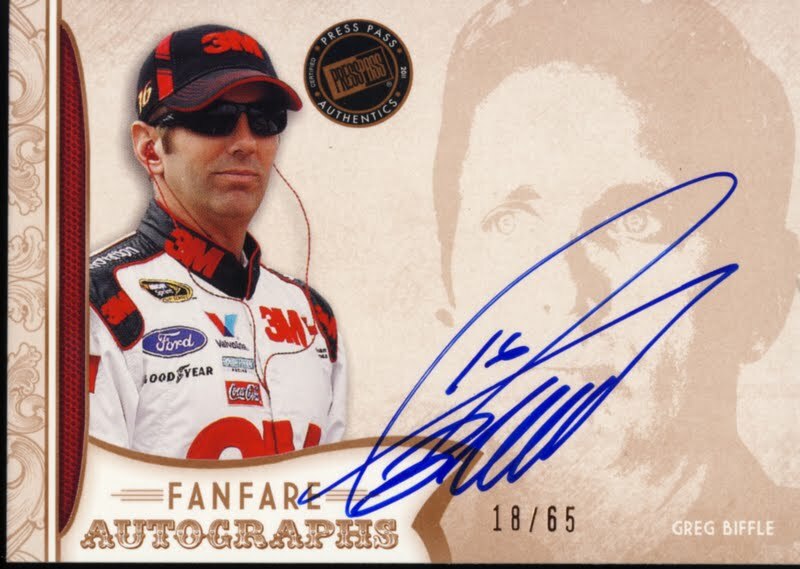 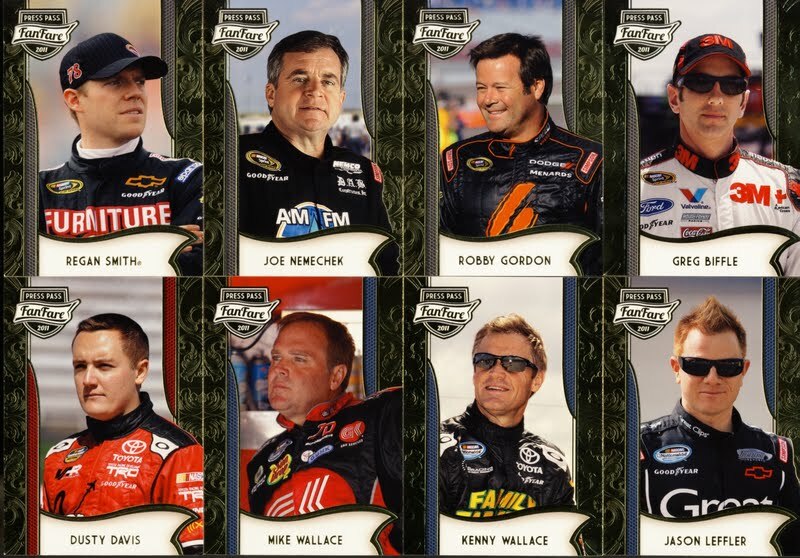 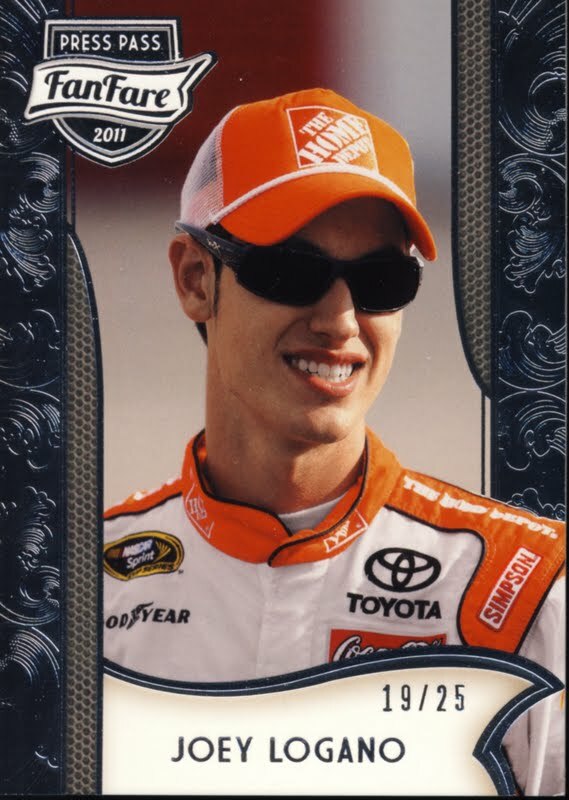 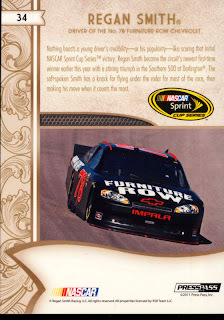 2011 Press Pass FanFare NASCAR cards are a great value for hit seekers.